When people think of minimalism, I think most of them picture one couch in the living room, cold white walls, no TV, no toys, and plants hanging by the kitchen sink. That's not the point at all. Living with less doesn’t mean being deprived. It means looking at what is creating clutter and stress in your life. Recently, Brian was away on a trip for a week. During that week, I was reminded how much I love the idea of minimalism and how much it has changed my life. It has given me the ability to take a deep breath and enjoy life more. And remember, minimalism is embracing the idea of less and questioning what you own and allow to take up your space and time. That is the key to changing your life. The importance of embracing the idea of less and questioning what we own and allow to take up our space and time. Minimalism gives us more time + more energy to focus on the things we want to focus on instead of the things that cause us stress. When you remove the clutter from your home, you become a happier person for yourself, your husband, and your family. 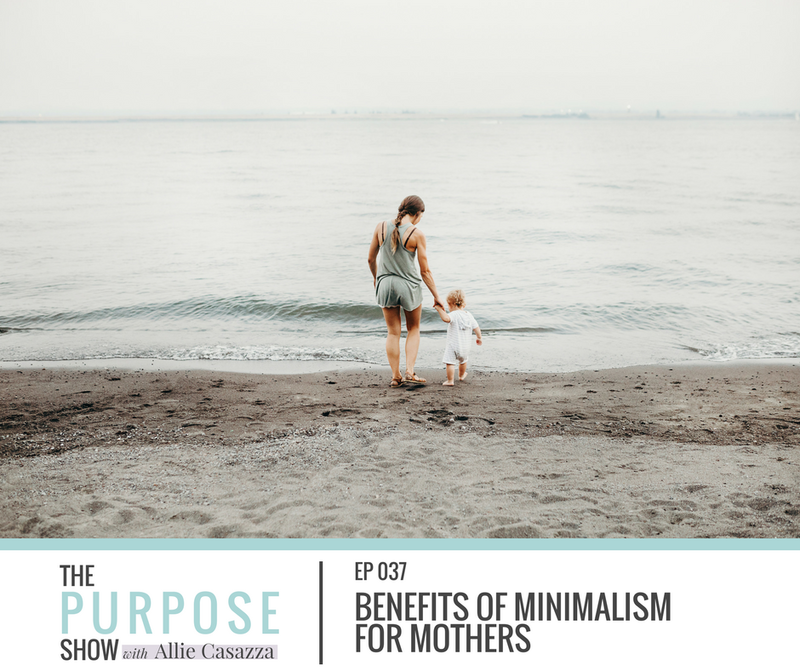 Minimalism is about creating breathing room in your home, your calendar, and your life so that you can be intentional with the people who matter most to you, and present to enjoy them fully. I created the Minimalism Starter Kit as a guide to making this change in your life! It is time to start living with intention and purpose, mama!